eBay has extended the deadline to Sunday, October 14 for City of Wolverhampton’s small businesses to apply for its pioneering Retail Revival programme. The online marketplace announced a 12-month partnership with the City of Wolverhampton at the end of last month to help small retailers get online, grow the local economy and demonstrate that online and high street retail can coexist. The partnership will see experts from the marketplace stationed in the city to provide exclusive support to small retailers who want to start up or expand their online presence. More than 60 City of Wolverhampton businesses have already applied for the UK pilot programme. The scheme comes on the back of new research commissioned by eBay and conducted by YouGov and Development Economics that shows a quarter (25%) of small retailers do not have an online presence aimed at generating sales – defined as a website, social media channels or a presence on an online marketplace. Worryingly, nearly three quarters (71%) said they had no plans to close this ‘digital gap’ in the future. The research shows that were these businesses to close the ‘digital gap’, they could benefit from as much as £4.1 billion in extra sales revenue each year. This equates to £19,250 in additional annual revenue per individual business currently without an online presence. Store Subscription – Retail Revival sellers receive a complimentary one-year Premium store subscription, which offers free listings, shipping supplies and other valuable perks. 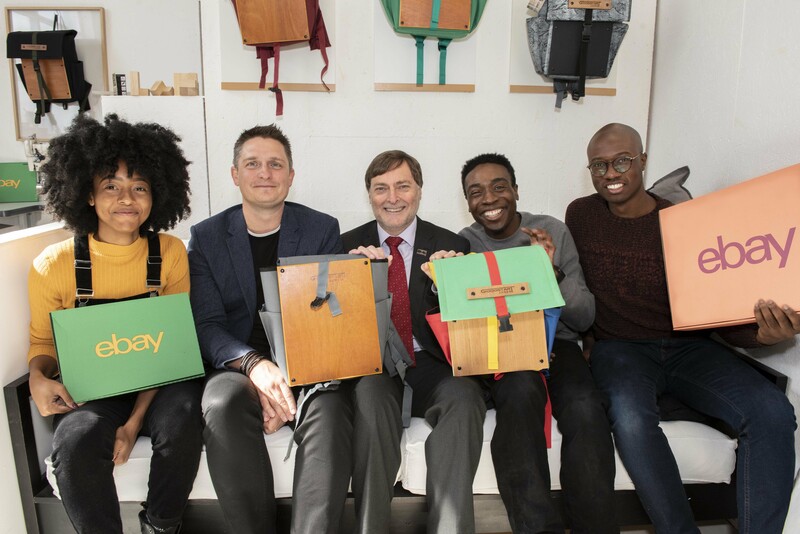 eBay will work with research consultancy Development Economics to evaluate the partnership as it progresses and create a blueprint that can be adopted by other UK towns and cities to bolster their retail businesses. City of Wolverhampton Council Leader, Councillor Roger Lawrence, said: “I’m delighted a global brand like eBay has chosen to work with us on an initiative which is the first of its kind in the UK. We value our small retailers that bring so much character to our city centre and we have recognised their achievements through the City of Wolverhampton Independent Retail Excellence (WIRE) Awards over the last two years. “eBay will provide valuable support to city retailers in the wake of a challenging national retail climate affected by changes in consumer behaviour and the economy. It is an exciting programme that will help businesses with their digital marketing and sales skills, giving them a solid platform for sustainable growth.